Scalp Hair grows in natural groupings of 1 to 5 hairs. ( one graft contains 1 to 5 hair). In hair restoration surgery the term Follicular Unit graft(FU) refer to a graft that has kept intact the natural grouping of hair as seen on the surface of the scalp. There are significant racial differences in follicular unit and hair density Caucasians and Africans have more hair per follicular unit as compare to the Asians. 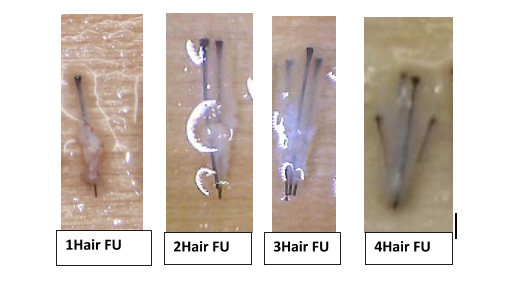 You can have follicular units of one, two, three, four or sometimes 5 terminal hairs, but they are all distinct anatomic entities, so keeping them intact during the harvesting process from the donor area maximizes the chances of successful regrowth once they are implanted into the recipient area of the scalp. A follicular unit will contain a single hair or multiple hairs grouped together, and also contains sebaceous (oil) glands, nerves, a small muscle, and occasional vellus hair, which are finer than the normal scalp hair. One of the important aspect of hair transplant is selecting the correct number of follicular unit for a recipient area in order create the natural look and to optimize the density – for example, the hair line zone will require many single follicle units in the first few millimeters and then double hair units; whereas filling in on the central parts of the head may benefit from units with 3 or 4 hairs. The goal is to maximize the cosmetic impact of the transplanted hair, and to ensure optimal growth. Follicular units are also referred to as ‘grafts’, so when the surgeon speaks about the number of grafts required for a transplant he’s talking about the number of follicular units he can safely take from a donor area to cover the balding regions of the scalp. ( to understand 2000 grafts yields more than 4000 hair). 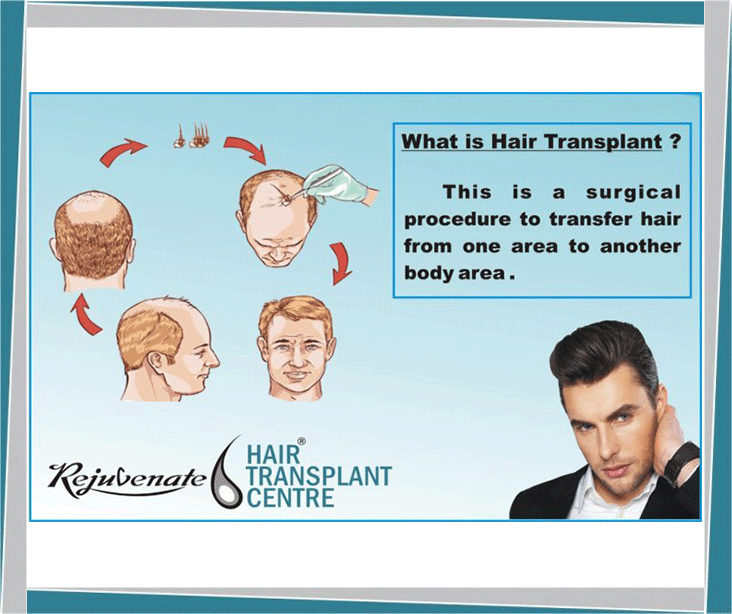 Cost of hair transplant will depends on number of grafts required. The number of grafts required will depend on individual patient factors such as hair density; availability of hair in the donor area and the characteristics of that hair, as well as the degree and progression of baldness. There are two primary methods of taking grafts from the donor area; Follicular Unit Extraction (FUE), which uses a punch-like tool to excise individual follicular units of varying sizes, and Follicular Unit Transplantation (FUT) during which the surgeon takes a strip of scalp from the donor area at the back of the head and dissects it into individual follicular units to use for implantation.